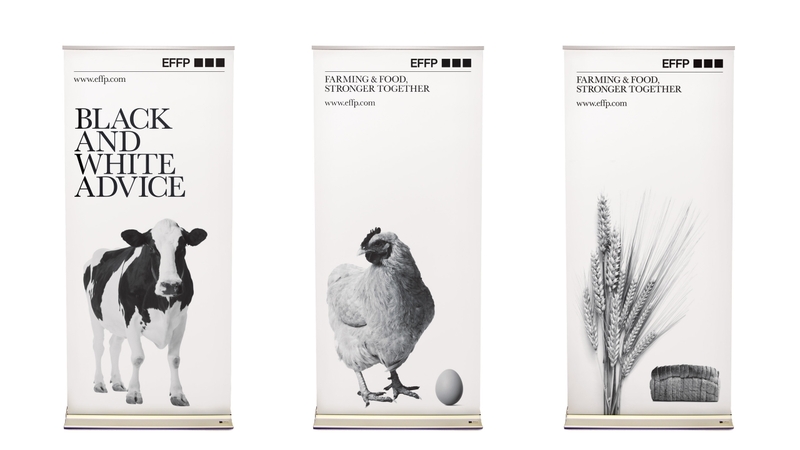 European Farming & Food Partnerships (EFFP) provides consultancy to the agricultural and food industry. They combine specialist farming knowledge with food industry expertise to help businesses address structural, commercial and relationship issues. EFFP strive to build bonds between these two industries, to ensure they have a common goal and also to establish appropriate, structured ways of working together. 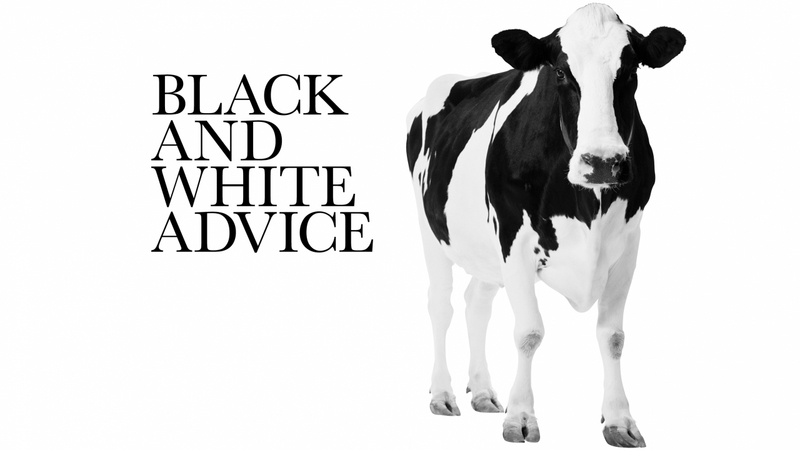 They pride themselves on being able to offer clear, concise guidance or ‘black and white’ advice. EFFP were looking to develop their brand identity in order to focus their business, better promote their services and consolidate a stronger position in the market place. 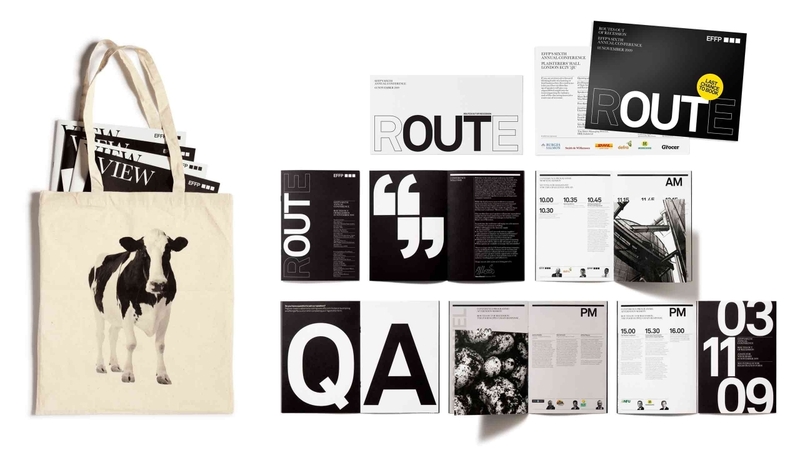 Purpose was approached to develop the brand identity, through a review of the brand personality and positioning, visual identity and marketing materials. Become well recognised and understood in the agri–food sector. Become a leading source of accurate and credible data. Renowned for a fresh, pioneering and innovative approach. 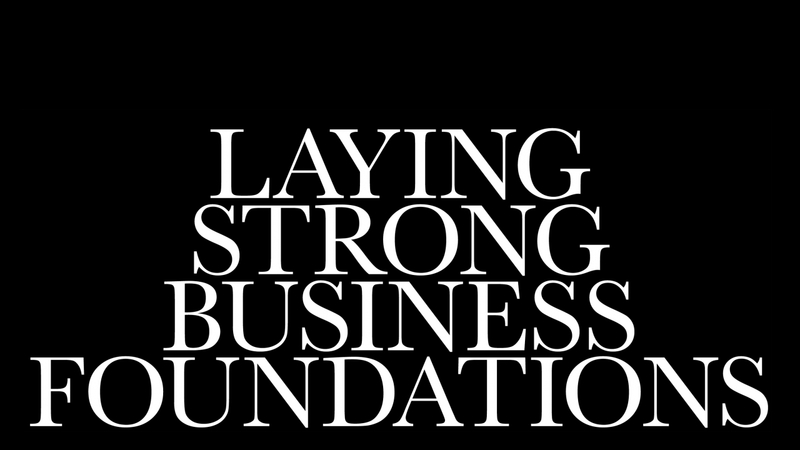 Operate a financially successful and sustainable business. 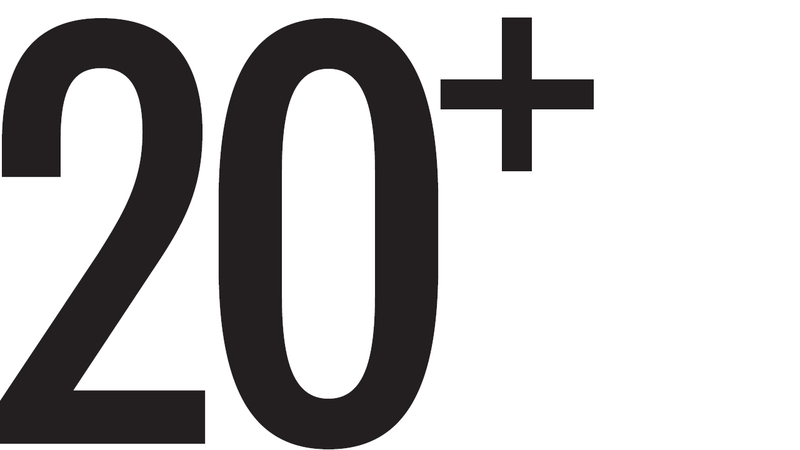 Become a consultancy of choice for 10 top food businesses. Building international relationships and awareness. We created a core thought – ‘Cultivation Architects’ – which helped us to both articulate the spirit of the organisation and inform the visual and verbal language of the new brand identity. ‘Cultivation Architects’ would: be food and farming focused; about strategy for positive growth and development; be structured, considered, assertive and economic in its form. 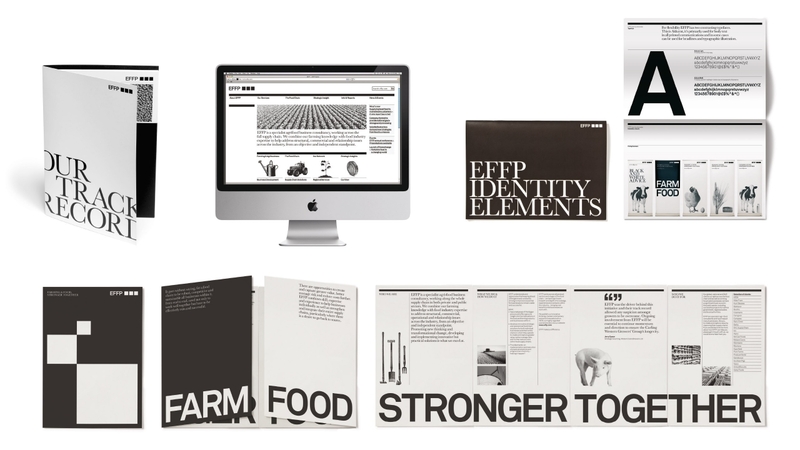 The core thought inspired a strikingly bold but simple black and white identity, presenting a confident and authoritative voice for EFFP. 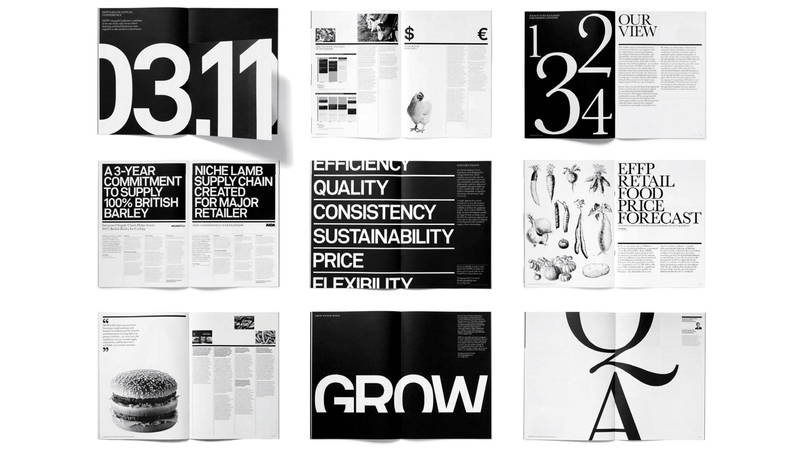 The typographically led approach is a distinguishing break from the ubiquitous use of corporate styling and generic stock photography so common in this sector. 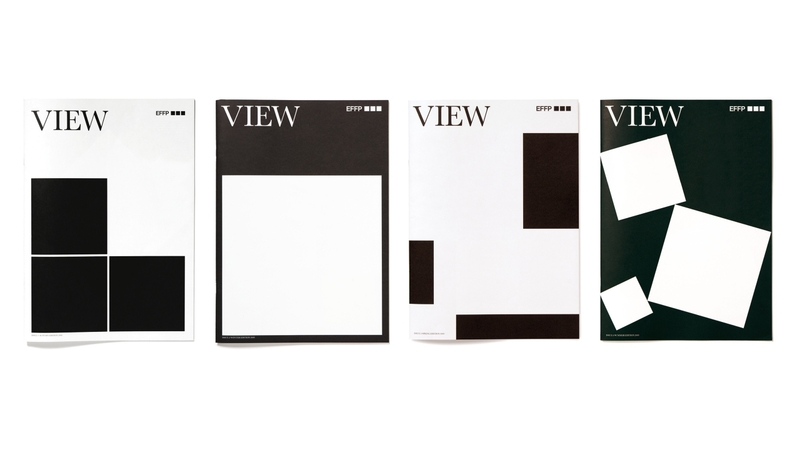 The EFFP Annual conference was used as a soft launch for the newly refreshed identity and an important new thought leadership piece, ‘View’ which was sent to all their existing and potential clients. This bold black and white quarterly magazine contains informed opinion and advice, interviews and valuable industry data such as a food price forecast – delivered clearly and in a straight-forward manner. By authoring and distributing essential and valuable industry intelligence through publication of ‘View’, EFFP have introduced their services to a many more businesses within the industry. Purpose have been a delight to work with. We have worked with them on a number of projects and each time they not only hit the brief but stretched us in terms of our thinking and the creative solutions.